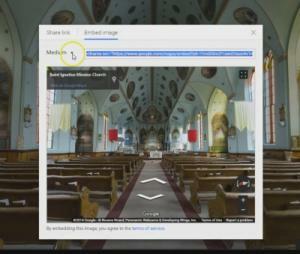 Embedding a Google Virtual tour on your website is easy. Our video tutorial will walk you through the steps to find the code needed. When you see the business card on the left, slick on the MAP, not the virtual tour. In the map, on the lower left is the 'inside' tour. Click on it. Now in the upper right corner there will be a black bar, on the far right side of that bar is 3 dots. Click on the dots.